What about MPCN?! Is MMA better or MPCN?! Who is to represent the fraternity nowadays? But it seems that most of my friends are asking me to join MPCN… saying that there are nearly 6000 members there, and very active in sharing info in their FB page! MMA does not seem to have that, or does it? MMA Do have a Facebook page. MPCN started in social media. Yes, many share info but the active participants are only the few committee members. MPCN is more targeted to the young doctors who are Internet savvy. They have their role but both need to work together. We can’t have two organisation doing discussions on their own. TQVM doc . Yes guys listen listen listen . We need that unity … all of us (almost) in MPCN(MPCAM the registered body ) are members of MMA. Time is a Great Healer . When we formed MPCN/MPCAM we had nothing against any one person but because you sat on the CHAIR we blamed you and felt the dissatisfaction .But now with the assault on our noble profession we have to get together and form ONE LOUD VOICE to fight for our rights and that of our very own beloved patients . I am now seeing the 3rd Generation of my patients and going into the 4th . This shows that patients trust thier doctors more than anyone else . It is so sad to realise that MOH / MMC our government organisation look upon us as criminals and treat us unkindly because of the PHFSA formed by former Health Ministers and Director Generals . There is no more future for the private general practitioners / specialists because of the culling that is going around by the little napoleons who have manipulated the PHFSA . My friends put your hands / feet up to have a united front . There is so much we need to do together . … we need to start now to have a brighter future .Unity thy name is ” Doctor “!! Be there for the AGM starting 29th – 31 May 2014. What ever the organizations are, the common goal were the same. Each organization were form to fight for the rights and against any bullies form any parties. MMA and MPCAM are two organization form by doctors for the doctors and I believe they fight for the same objectives. What will be the core background is UNITY. Currently MPCAM looks at MMA as senior brother and fighting the same issue as MPCAM. Looking at current situation in MMA, there are areas that need to be strengthened. One important point that MMA need to improves is the communications among doctors. The number of members in organizations counts. Same goals counts, Unity counts. I am hoping that new elected central committee will be able to improves communications among members and recruit more doctors to come into MMA and work together for the benefits of all doctors regardless of race, religion and political inclination. There must be a new approach an innovation in getting new members especially the young ones. It a shame to see us getting only 1/4 of total practicing doctor in the country whereas for other professional it is close to 100%. Many of the members even lapse as they are not sure of benefits becoming a member. Hopefully during the coming MMA AGM in JB, each members attending will be able to construct a new systematic approach in getting things done and not just follow what the previous batch did. Dato Tharmasellan had shown that he can change the way to ensure MMA will be hear all over the country and for that I will put 10 thumbs up ( if i have 10). Its time we unite and unity means strength. Doctors have been long divided thus the end result will be bad for us. 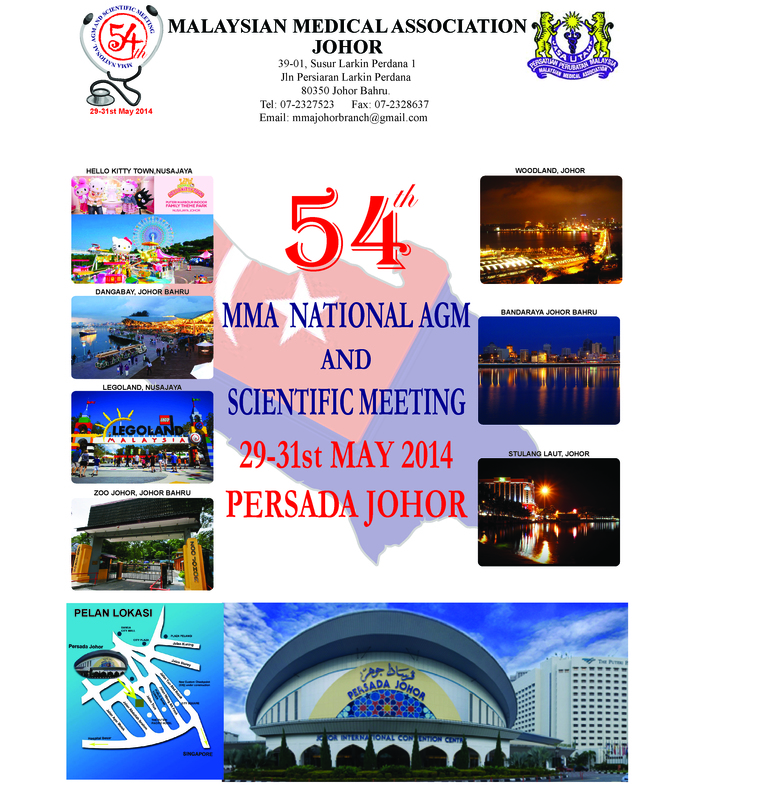 Come to MMA AGM end of this month and this meeting is for members only. Your voice will be important at this meeting to shape a greater future.